Being a franchise owner and the operator of La Quinta I&S in Austin, Pradip Mulji was frustrated by the confusion and inconsistency that is inherent in his industry. 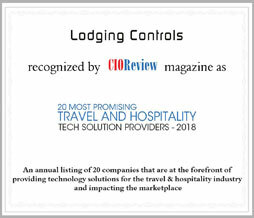 The Founder and CEO of Lodging Controls, Mulji observed fundamental breakdowns in the system caused by inadequate communication among his employees resulting in frustration and lost revenue. Major problems such as rooms unsold due to unawareness of the front desk, customers waiting for rooms while room attendants worked on an unrelated task and poorly maintained rooms being sold because of delays in communication, existed. Therefore, he decided to design and build the MOP (Mobile Operating Platform) to address these concerns and improve the efficiency of his hotel operation. At its heart, the MOP (Mobile Operating Platform) is a system-wide solution that creates a reliable and instant network of communication among the staffs. “It allows us to deliver the promise that we make to our guests every day such as, providing a clean and maintenance-free room in a timely manner,” asserts Mulji. The platform is used regularly for performing everyday tasks like cleaning rooms, creating maintenance work orders, assigning special jobs like delivering rollaway and towels. It also enables the hotel with recurring work assignments, inspections, maintaining a property-wide preventative maintenance program, lost-and-found, and other such activities. The MOP covers all the necessary communication and automation functionalities for the hotel associates and management, which allows staffs to get immediate notifications regarding any upcoming task. This not only reduces the time required for performing specific tasks but also cuts down the revenue loss caused by the communication gap between the employees. The solution is designed to be user-friendly for workers; a simple workflow with iconography is used throughout to make sure that the team members are spending their time on their duties rather than managing the system. “We understand that many hotels have language barriers between team members. MOP’s UI is developed with that in mind,” says Angelo Lombardi, the COO of Lodging Controls. Training regarding the inspection is added directly to the workflow by using the MOP, and simultaneously, the system watches the condition of every room and prioritizes them based on the severity of the maintenance issues in each room. Furthermore, to build strong communication between customers and the hotel management staff, Lodging Controls has implemented guest texting and Alexa integration that are bolt-on components which work seamlessly with the existing solution. Mulji explains that by leveraging MOP into their system, he observed fundamental improvement in guest service delivery and also rooms were sold with fewer defects. It provides the scope for improvement by focusing on the required areas that leads to better management, agility, and efficiency in the work environment. Steering ahead, Lodging Controls will be expanding and strengthening the network between the associates, management, and the guest. The company also has plans to include additional features like post and pre-guest stay information, surveys, and follow-up communications, in the pipeline. “We are continuously exploring additional communication methods and bringing in more hotel functions to create value-adds for our existing customers as well as attract new customers from hotels segments with more than just room-only operations,” concludes Mulji.